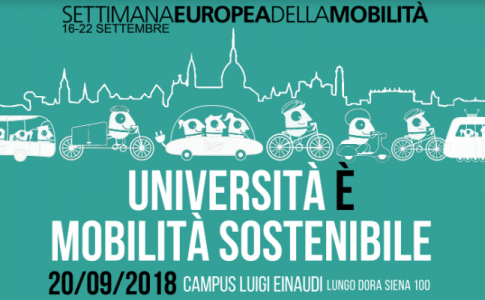 The Mobility Group of UniToGO, during the European mobility week, is happy to invite you on 20th September 2018 at the Campus Luigi Einaudi to the day Università è mobilità sostenibile. Everyone who is going to go to the Campus Einaudi in the morning by bike will be able to take part in Bike to work – Giretto d’Italia 2018, organized together with Legambiente and CNH Industrial, the national initiative which promotes the use of the bike. Participating in simple: you just have to go to the Campus Einaudi by bike, stop at the check point in the bike parking (D4), take a photo on the bike with the special frame of the Giretto and share the picture on your Facebook, Instagram or Twitter profile with the hashtag #Giretto2018. You can win a wonderful electric folding bike New Holland! The Main Hall of the Campus will house all day long the photography exhibition “Passeggiando in bicicletta” by Cosimo Cardea. In the afternoon, from 2:30 pm, there will be a seminar where will be presented both the actions by UniTo to improve sustainable mobility as per services, research and didactics and the activities of the Mobility Group of the “Rete delle Università per lo Sviluppo sostenibile”. The new framework law on cycling mobility, recently approved, will also be a topic of the conference. The day will end with the pedalata universitaria Unibike (university bike ride), organized together with the associations Greento, EcoPoli Green Team Students, Bike Pride-Fiab and CUS Torino. The ride bike will start at 5:30 pm in the bike parking (D4) and the route will go on in the city centre, till the Politecnico di Torino. 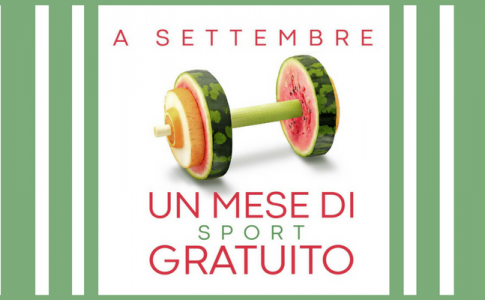 From the beginning of September, sports activities at CUS Torino will resume with the Sports’ Month: over 30 days of free activities in CUS Torino facilities. It’s a once-in-a-lifetime opportunity for those who want to try a new sport and test their own abilities , whether they are university students or not. All activities will be for free and taught by qualified instructors. From climbing to athletics, canoeing and rugby, sports allow participants to master a personal talent, with advice from instructors and professional coaches. You can check the list of available facilities by clicking this link. Timetable and registration on www.custorino.it/mesedellosport or with the app CUS Torino, available on play store and app store. You can directly contact the people in charge for the activities here (qui). The Politecnico is invited to the WEUFT 2018 – World Elite University Football Tournament, in Wuhan, China. 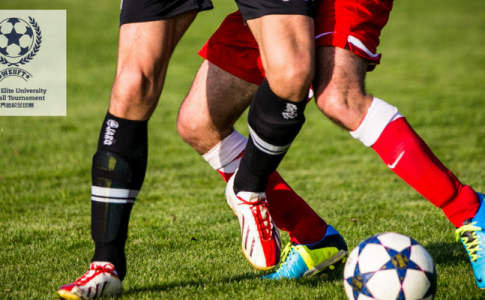 Il Politecnico di Torino has been invited to participate in the third year of the World Elite University Football Tournament (WEUFT), also known as “University World Cup”, competed for by the teams of 12 among the world’s best universities. It is a male football tournament hosted by WEUFA: a “World Cup” of universities, aiming to promote sports in university, friendship, and relationship between the main universities of the world. This year, which is the third, the tournament will take place in Wuhan (capital of the province of Hubei, central China) from July 12 to July 24. Among the 12 participants there will be PoliTo’s team, the only Italian team, which will face Universities like Oxford, Cambridge, Melbourne, and top Chinese universities. The Dean, Guido Saracco and its representative for sports Marco Barla will present the team on Tuesday, July 10, at 10.30 AM. Last week to benefit from the initiative launched by CUS Torino for students and Politecnico di Torino staff members. By showing your CUS Card until June 29, you can RENT A FIELD FOR FREE! – VIA PANETTI 30: by showing your CUS CARD you will have an hour of free rent, from Monday to Friday, from 9 AM to 4PM, choosing a sport among #Beachvolleyball, #5-a-sidefootball and #Tennis. Reservation is compulsory: please call 011.6056231. The international university challenge is back on the Turin university sport fields. 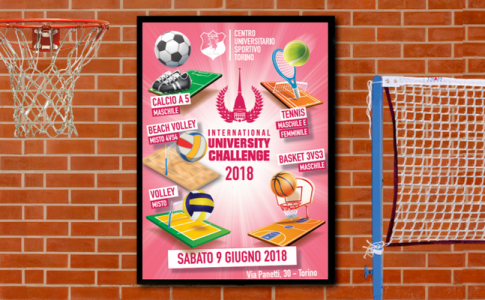 The event, dedicated to sport competition among students from Unito and Polito, will be held from Tuesday 22nd May and Saturday 9th June 2018, at the CUS Torino di Via Panetti 30. 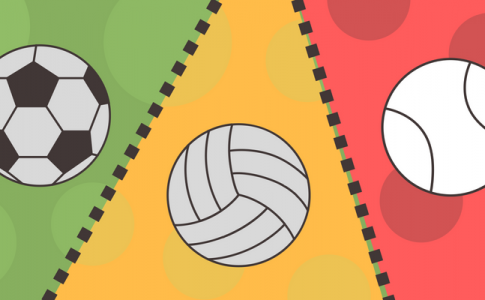 The competitions will involve different kinds of sport, starting from women’s and men’s five-a-side football, to beach volleyball and to mixed volleyball (4 vs 4). From men’s basketball (3 vs 3) to women’s and men’s tennis. Each team may enter a tournament of its choice. With an enrolment fee of 15 euros, students will be allowed to take part in a tournament and in the conclusive cocktail party and they will receive as well the official T-shirt of the event for free. Please, download the enrolment form here (qui) and send it to the email address tornei@custorino.it. You can also take it in person to the CUS info points in Unito and Polito or to the reception desks Braccini and Panetti.